The Ridgefield School District is hosting a second series of stakeholder meetings as planning continues for the new 5-6 intermediate school and 7-8 middle school that will be part of the district’s February 2017 bond request to voters. “The purpose of these meetings is to enable our staff experts in the various contents to provide valuable input and feedback as the planning and design of our 5-6 intermediate school and 7-8 middle school continues," said Dr. Nathan McCann, Ridgefield’s superintendent. "The first round of stakeholder meetings was very effective, and the feedback we received is impacting the design process in a very positive way. I look forward to seeing our staff, parents and community members continue to engage in this process." The first series of meetings, led by LSW Architects, the district's architectural firm, actually kicked off September 9, as the district convened representatives from their custodial and food service teams to provide input and feedback on issues pertaining to general maintenance and cleaning of the new buildings as well as dining services. Stakeholders were led through multiple activities to learn more about present practices, existing challenges, and how layout and design can further support custodial and dining services. "As educational architects, we know how to design schools," said Casey Wyckoff, architect and firm co-owner at LSW. 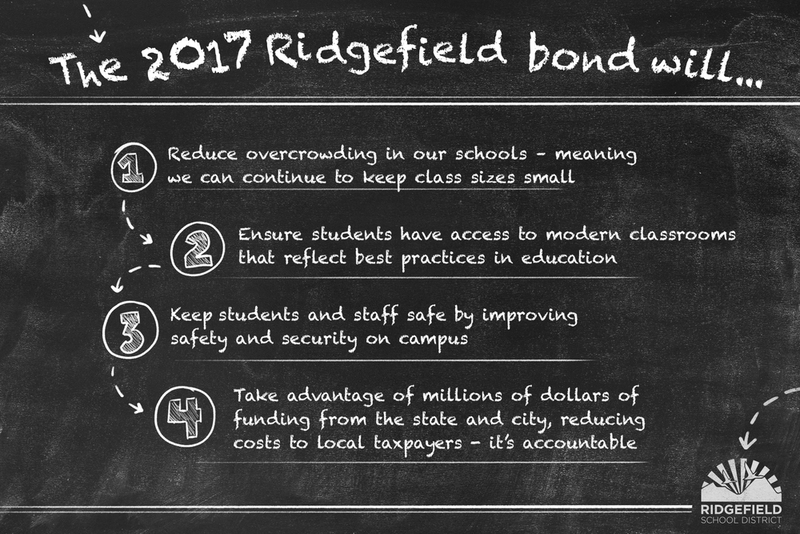 "With insights from Ridgefield staff, teachers and community, we better know how to design schools that fit the vision for Ridgefield."